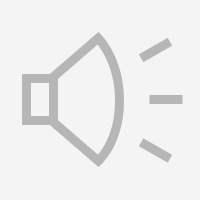 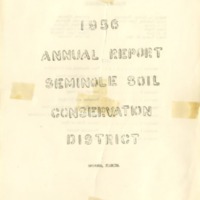 This podcast features an interview with Brad Massey, a Ph.D. candidate at the University of Florida, about his article on the Florida phosphate industry and the political controversy surrounding its arrangement with the Soviet Union in 1974. 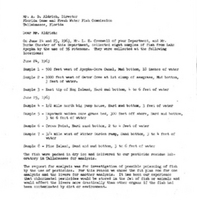 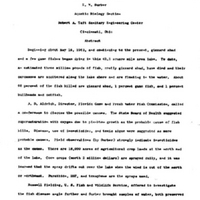 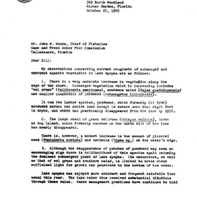 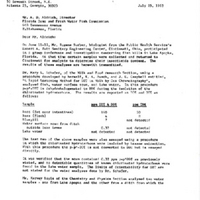 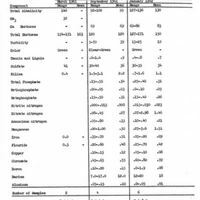 A table of measurements of various dissolved substances found in Lake Apopka, gathered from random points across the surface of the lake in March 1961, September 1961, and January 1962. 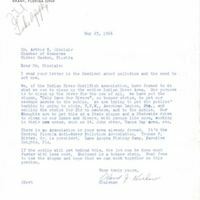 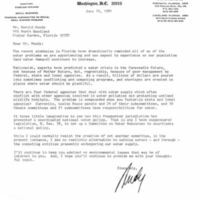 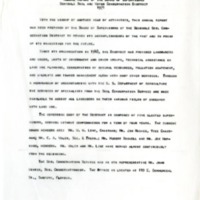 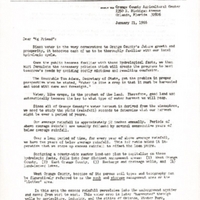 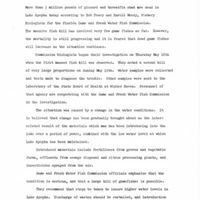 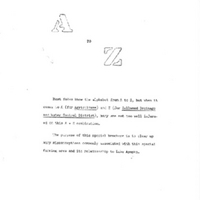 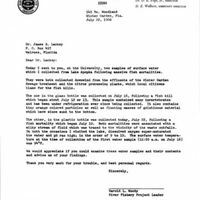 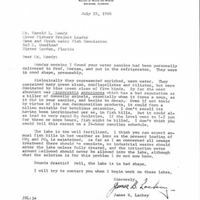 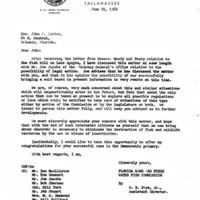 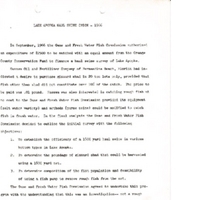 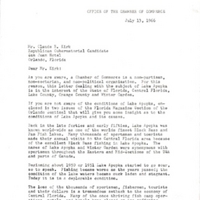 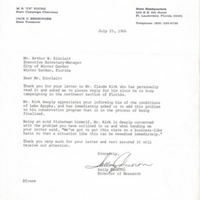 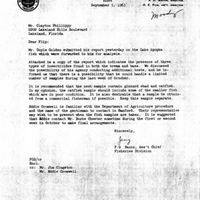 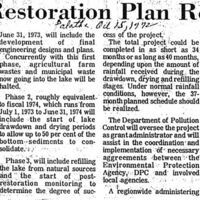 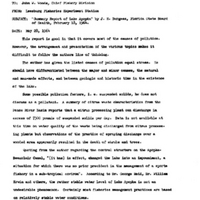 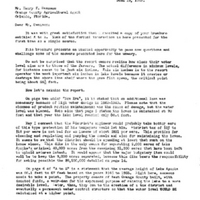 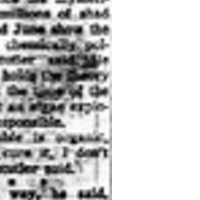 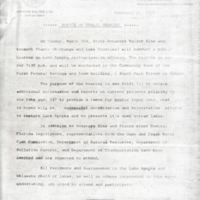 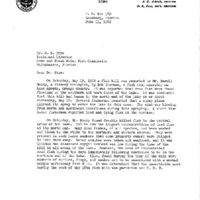 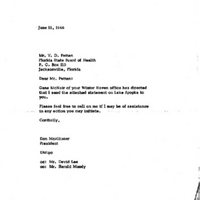 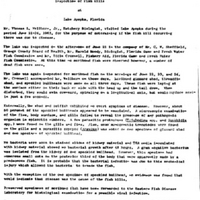 Tags: agricultural pollution; Attorney General; Bill Fullford; Bill Turk; Board of Commissioners; Bob Sherman; Central Boulevard; chamber of commerce; Congress; Democrat; Democratic Party; Don McAllistor; election; fish; fish kill; Florida Democratic Primary Election; Florida Game and Freshwater Fish Commission; Florida's 11th Congressional District; Harold L. Moody L.; insecticide; Jeb Stuart; Joe Jacobs; John A. Sutton; judge; justice; Lake Apopka; Lake County Board of Commissioners; lawsuit; M. W. Hammond; Moon Head Lodge; O. E. Frye, Jr.; Orange County Board of Commissioners; pesticide; pollution; primary election; Tom Denmark; U.S. House of Representatives; W. R. Peavy, Jr.; water conservation; water quality; wildlife; Winter Garden Chamber of Commerce; Woods, John W.